One of the most wanted games to be released for the Amiga platform back in the days was a Doom alike 3D FPS game. It took months and years before ID released Doom as open source. So in meanwhile Amiga specific game developers managed to release a game such as Gloom. People claiming that it is a Doom clone (even described as it on Wikipedia) because of the name, but in reality it is Breathless and Alien Breed 3D that should have that title instead of Gloom! In fact, Gloom have more similarities to an advanced version of Wolfenstein 3D rather than Doom. The similarities ends here though as Gloom is not about shooting German nazi soldiers. But instead you have interesting creatures to shoot and kill. Both original Gloom and Gloom Deluxe was Created by the fantastic developer Mark Sibly. The nicely made graphics were done by Kurt Butler and Hans Butler. Additional artwork was done by Laki Schuster and the fantastic menu and introduction music for each levels was done by Kev Stanard. Gloom came out in 1995 for the Amiga, while the Gloom Deluxe version came out in 1996. Later also Gloom 3 was released. The game itself was published by Guildhall Leisure Services Ltd. which was one of the most active and most noticeable publishers of Amiga software after the demise of Commodore. The team game developing company that made Gloom and Gloom Deluxe, called themselves Black Magic Software. So!… Let’s try to kill that Doom myth a little! Because the gameplay of Gloom is not the same. Except for a name that got close similarities to the Doom name. Gloom is a completely different game from Doom. There is actually almost no similarities in the gameplay, except for that you walk in a 3D textured world that have more similarities to Wolfenstein 3D than to Doom. In Gloom you only walk forward, backward or you can do sidesteps either with keyboard or a Amiga CD32 pad. Another key feature, which is different from Wolfenstein 3D and Doom is that you have Unlimited fire. There is no chance in this game that you will have no ammo at all. The only feature in this section of the game is that you can upgrade your weapon pretty much or add boost fire to it. However, when you die you will always start with basic fire. To upgrade the weapon, you need to progress in the game. You need to pickup stronger bullets. To be able to shoot more than one bullet at a time. You need to pick up more power than what the bar shows in the bottom right corner. But this will only happen for a short time. Mostly you shoot with only one bullet. Once you start the game, the gameplay is like playing a 3D plattformer. You have levels and worlds to finish. Then when you are finished with a level you get automatically transferred to another level or world. Also including the 3D FPS style gamplay, Gloom Deluxe also offers several mini-games inside its 3D environment, which was pretty unique where you can play a Defenders alike game to get extra life in an 3D environment. The enemies in Gloom Deluxe, compared to the limited list of enemies in Wolfenstein 3D got way more variation. Especially the ghosts that you will meet in Gloom Deluxe. You can choose in the menus of the game if you want gore to stay on the floor or make the game remove them after you have blasted them to pieces. So please do stop comparing Gloom to Doom because it is not a Doom clone like Alien Breed 3D or Breathless. When Gloom Deluxe came out in 1996, the developers added 1×1 graphics to the game. Also it is one of the very few Amiga games supporting the i-Glasses from Escom. This new version also added chunky mode support and Window gameplay on AmigaOS desktop. The original Gloom game let’s you play the game on Amiga 500 with 1MB of RAM even. But you are limited to 2×2 screen, which I have to admit is not to good to look at all. There are two types of multiplayer possibilities. Either you can play against a friend in deathmatch specific levels. Or! You can play the whole game together with a friend which I call socialize gameplay as it should be. You can play the whole game with a friend and it works really well on Amiga’s with 68030 50MHz CPU powered Amiga or better. Multiplayer mode is indeed very playable in Gloom Deluxe. And if you have a nullmodem cable. You can connect two Amiga computers together and you can have a nice time too. Then both of machines can play the game in fullscreen mode, which helps a lot too. Maybe this mode should have been tried more at Amiga parties or meetings? A good tip for sure. The first Gloom game was Released back in 1995 and since then this game shows that gameplay means more than graphics. Gloom is still fun to play even today. I would recommend to anyone that wants to do a comeback to the Amigascene for nostalgia reasons to play it. Trying something different and give this game a go. It is for sure one of the best Amiga games ever created. It got Action, Fun and Speed. But before playing, just make sure that you play the Gloom Deluxe version and that you play it on an Amiga with 68030 or higher. Gloom Deluxe also supports to be played on graphics card screenmodes as well as on AGA. This means that OCS and ECS Amiga’s can play the game if you have a 68080 Vampire accelerator from Apollo Team or a graphics card connected. The name Gloom was chosen in the end as a punch to the Doom name only. Most of PC users and even the Amiga media in 1995 couldn’t see the beauty of what Gloom was. Instead they pushed the Doom clone words out to the public, which became its destiny and rumors all the way until today. But thankfully the developers of Gloom did thank ID Software for their Doom game in The One Amiga magazine. But that is actually the only similarities. The name was only used as a joke. Also a interesting fact is that Gloom’s game core was developed using Assembler for the Amiga is also an achievement! The source code can be found Github. BlitzBasic was only used for the map editor of the game that was released later on, but the core game of Gloom Deluxe is made in pure Assembler. Thanks to Erik Hogan for this additional informations! Amitopia wants to Thank all that made this game possible. 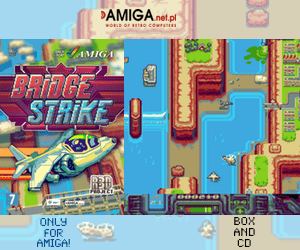 It is one of the best Amiga games ever made! The whole atmosphere of the game is just brilliant. The multiplayer part of the game is also one of the many features in the game that deserves to be mentioned. So, now we end it all by saying that Gloom isn’t a Doom clone. Not at all. Gloom and Gloom Deluxe is quite different games. The gameplay is the same, but the atmosphere that you get when playing it in 1×1 instead of 2×2 is for me a big difference. You notice more details and the enemies gets clearer. So, Amiga 3D FPS games works fine in 1×1 once you have a Amiga machine with enough power. 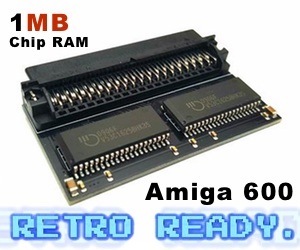 The bigbox Amigas had CPUs upto 68040, while the low-end Amigas upto 68020. You can however add better CPUs and Graphics cards to every Amiga home computer that is released. Even the Amiga CD32 can be upgraded and then it becomes a quite nice Amiga also. So! 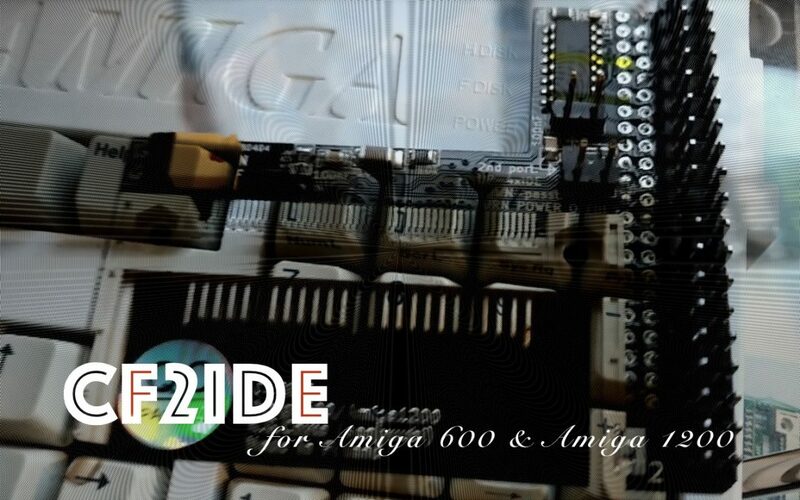 We do recommend You to get a Amiga with 68030 or higher now in 2017 for experiencing Amiga gaming! Also if you go for Amiga 1200, Amiga 4000 or Amiga CD32 then you have full backward compatibility thru WHDload and can also play AGA Amiga games. Gloom Deluxe is one of those Amiga games that does requires more and because of that it can deliver more. A fantastic game that everyone using an Amiga and like 3D FPS games should have. 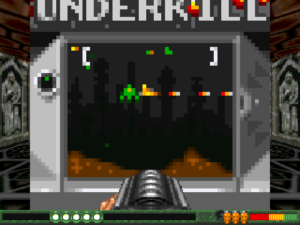 This is an awesome 3D shooter for sure and it is Only Available for Amiga! Nice review. Have to agree 100%. Very nice game that I used to play a lot and still do from time to time.